Taking a bit of a break from studying to tell you about a new store opening up in Adelaide. I first heard about it via Peta Pledger...who is from Melbourne! Ha! I didn't exactly wonder why I hadn't heard about it before that - I'm so very out of the loop with what's going on here that it's just not funny. Anyway, I thought it sounded pretty neat, to say the least. Then one of my good friends emailed me to tell me about it - it turns out it's being opened by her brother and his girlfriend! -paying outrageous prices on retail International Shipping fees! -the disappointment of ordering something online and finding out it doesn’t fit! -A decent price on all items, we are here to provide a service, not just run a business! Sounds pretty good to me! So, if you're in Adelaide and you're into rockabilly and the like, make sure you stop by. 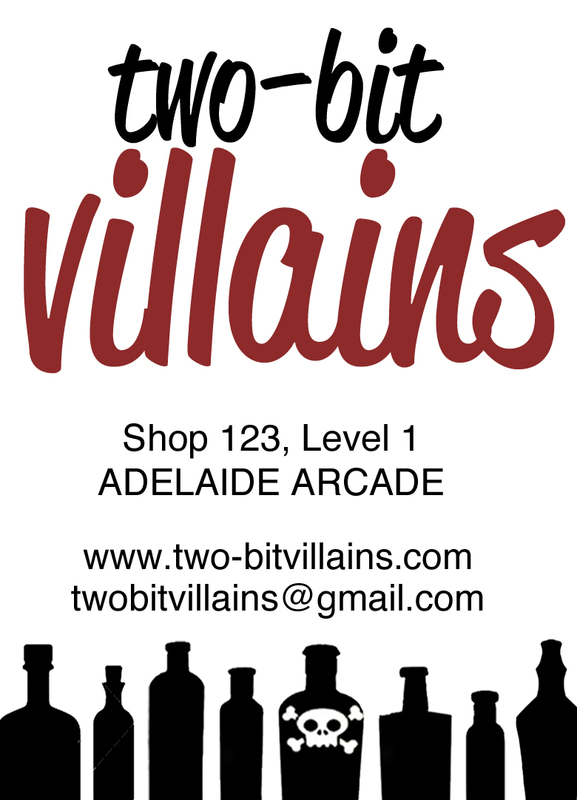 The shop opens on the 11th of June (that's one week from this Saturday) and is located at Level 1, Shop 123 in Adelaide Arcade. I'll be blogging again after the opening night and until then I may well be swamped under with all my Uni work. Eep. I found them on facebook maybe 3 weeks ago now. I'm pretty excited to have another store like that here, and i really wish it the best of success! Totally agree about the benefit of trying things on instore rather than matching measurements online, and saving shipping costs would be nice, too :0 A bit worried about the location though, i hope enough people find it for it to be viable! Its a bit hidden away up there on the second floor. Do you have a Route 66 store in Adelaide...? I know its expensive, but they sure have nice things. Hey Andi! Did you get the hat? I popped it in the post a few weeks ago. I hope it made it to you. Thanks for this, I wouldn't have known about it if you hadn't spread the word. This is why I follow blogs, to know stuff like this.